Yesterday afternoon I submitted the Prologue and Chapter 1 of Flayed to them to see if I could make their cut as an author on the site. Their information said that it can take up to a few weeks to hear back from them about your submission, but they responded to me in about 24 hours. They even used some very excited language when talking about my submission. So I think I am going to give this whole serial publishing thing a shot. Here is the deal: I plan to publish at least 1 chapter a month until the book is done. If I feel like I can do it, I might publish more than one. Before I will send it out there though, I do want to at least have my editor, the amazing Morgan McLaughlin McFarland, pour over the words so I don't make a fool out of myself in front of all you guys. However: there still might be some mistakes, some issues, and some dumb things that I might do during this process. It would be great if you could give me a hand by proof reading the story. I won't be including ANY graphics in this version of the book, and will probably use hash marks (#) to break scenes up, instead of the typical lines you will see in the paperbacks or the eBooks. So really, you are getting to read the manuscript as we cobble it together. After the book is done, I still am going to publish it to the normal places, and that WILL have graphics. It might even include some of the edits that you guys have pointed out. Also, I am thinking right now that I will put the chapters up for free. Which means anyone can read the entire story and they won't have to pay anything to do so. There will be a donate button on the page, however, so if you feel so inclined you can send me a few bucks. This does not mean that you will get a paperback or an eBook as a reward, however, so please keep that in mind. 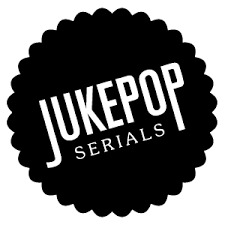 There is one more thing about JukePop. They use a voting system to rate the books on the site. I think they call them +votes. If you read a chapter please don't forget to +vote it if you enjoyed it. It means a lot to me to get this feedback so immediately. I do believe you will need to make an account on their site to read.